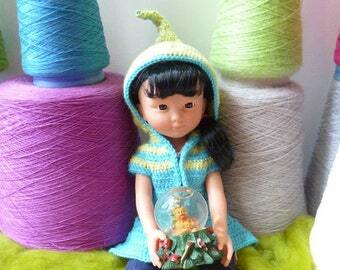 Announcement Crochet patterns for 13 in dolls such as "Les Chéries". Get 30% off when buying 3 or more patterns with code "ETSY30". 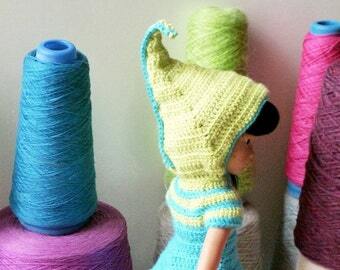 Crochet patterns for 13 in dolls such as "Les Chéries". I haven't made this yet, but i have read the directions and they are clear and precise! I'm going to try and make this smaller, can't wait! The instruction look easy to follow. I started publishing my own knitting and crochet patterns in 2006, for kids and ladies clothing and accessories. I have recently discovered the Chéries dolls by Corolle and fell in love. This is a perfect opportunity to make tiny versions of my existing designs... or to experiment with new ideas. Sylvie Damey, french crochet designer & translator specialising in knitting/crochet. Mum to 2 teen girls. I love to design my own sweaters and clothes in crochet, and publish the patterns for them (see my main Etsy store http://www.etsy.com/shop/SylvieDameyCrochet). Then sometimes I'll also play with miniature versions of my designs for my Les Chéries dolls: they are both so fun and quick to make when I need some time off the "big projects", and a great way to experiment with new shapes and designs.